If complete treatment cannot be done, we will do everything we can to get you comfortable! We accept most insurance plans, offer 3rd party financing, and an in-house care plan. An alternative option for individuals without dental insurance. We offer KOR and ZOOM! in-office whitening. Dr. Todd offers a variety of treatments designed for all age groups and conditions - including TMD. A new smile can begin today! The detailed diagnostic images that CBCT provides have made it an essential tool in many dental offices and is quickly becoming a standard of care. Invisalign® clear aligners are virtually undetectable, which means hardly anyone will know that you’re straightening your teeth! Orthodontic screenings can begin as early as age 7. Schedule your free consultation today! Treating symptoms characterized by headaches and the clicking and popping of the jaw. Chronic, loud snoring is a common symptom of Obstructive Sleep Apnea. We offer alternatives to CPAP for patients who suffer with mild to moderate sleep apnea. No temporary crowns – we can design, fabricate and place a ceramic restoration in just one visit! A comprehensive menu of treatment. Dental emergencies are seen the same day. The latest digital and 3D imaging. Thank you for choosing Buzbee Dental, a premier family dental care practice located in Springfield, Missouri. Our dentists, Drs. 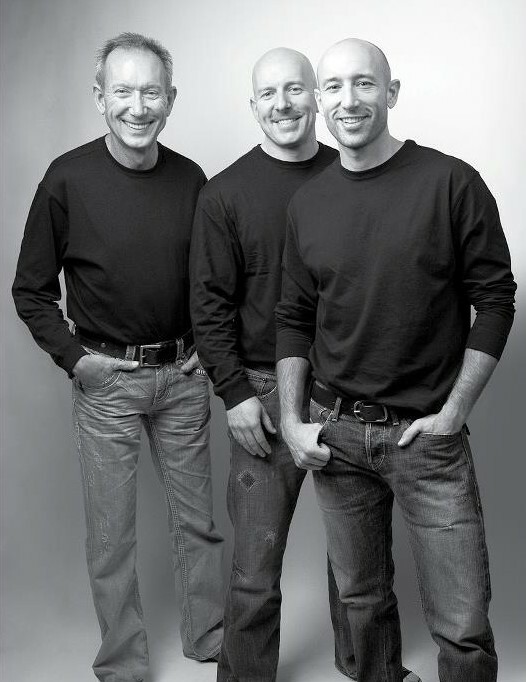 Gary, Todd and Tyler Buzbee, are committed to offering the best dental care possible, in a family-oriented, compassionate, relaxed atmosphere, utilizing the most advanced technology on the market today. Dental emergencies are seen the same day! We are proud to offer a comprehensive menu of dental treatments. Explore our website to view before & after pictures and learn more about our dentists, technologies, and products. Schedule an appointment by e-mail. Fill out new patient forms online prior to your appointment. Pay your bill online via our secure patient portal. The entire staff goes above and beyond and delivers excellent patient care and service! There could not possibly be a more well organized, knowledgeable, and caring office of dentistry than Buzbee Dental. I have been a patient of Dr. Gary and his lovely assistant Patti for over thirty years; they are always a joy to visit with, and I have never received anything but the very best of dental services and their kind friendship throughout the years. Along with Gary and Patti, my sincere appreciation goes to Mitzi my dental hygienist who is alway a delight to visit with as well as always receiving the very best of her expertise and care with each visit. Thank you. I called Buzbee Dental for a second opinion after an intimidating and stressful experience at another office in town. Dr. Tyler reviewed my treatment and let me know what dental work I needed to do soon, and what is a lower priority. They went over the costs and insurance break down and explained that I could pay for each appointment as I go, instead of pressuring me into financing the entire plan amount right then and there. I am so happy I called them!!! Thank you! I just have to say that every time I visit Buzbee Dental, each and every person I come in contact with is extremely friendly, helpful, and all around good at what they do. Always a great experience. Thanks again! I have been a patient at Buzbee Dental for the last several years, and recommend them every chance I get! Anyone who is looking for a new dentist office in Springfield, MO with great people and a comforting and fun atmosphere, this is the place for you! Dr. Gary Buzbee is my regular dentist, and him and his staff are incredible. I am a third generation patient and my family has always gone to Buzbee Dental for a reason. I never dread an appointment. Dr. Todd Buzbee is my orthodontist. He is working to treat my TMJ after a bad orthodontic job at another facility. I've been extremely happy with the way he has set up my treatment and how quickly he is going to be able to alleviate my pain. I cannot say enough good things about this office. The best dental group in Springfield! Would recommend to young and old!!!! A+ service and wonderful atmosphere. I have been a patient at Buzbee Dental for some time. Great dental experiences and work, but what really impresses me is their team of employees (and the doctors of course). Great customer service, very accommodating and they are just genuinely nice all around. I've never had an issue that they could not take care of in a timely fashion. Dr. Todd Buzbee is not only a good dentist but is very caring in his approach to treatment plans. He includes you in his treatment plans and truly cares that the outcome is positive. I recommend highly. I have never been to a dentist office that everyone treats you like family and I love this place. I never dread going in like most people feel when going to the dentist. Going to Buzbee Dental is just like going to your own home. The people treat you like you are one of the family and the care they give you is "First Class." The care and attention that is given you upon every visit makes you feel at ease and the atmosphere in the offices and treatment rooms are the best in Springfield, MO. I think the thing that impresses me most is that the doctors are always keeping up with the times and provide the most current and efficient care available in the field of dentistry. I appreciate everyone on staff from the office staff to the doctors themselves. It is the best care in dentistry! They are a professional team of dentists and hygienist, billing specialist and receptionists, that make you feel good. Very precise diagnoses and very good service They keep me informed of my appointment, they are top of the line! Best dentist in Springfield, MO, hands down!